A Quick & Inexpensive Machine to Erase Multiple Hard Drives to Industry Standards. Wipe as many disks are you want! 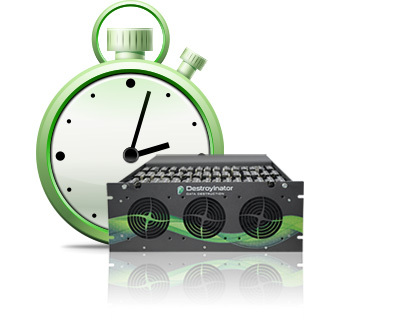 The Destroyinator is available in 30, 45, and 60 drive models allowing you to wipe 1-60 disks in a single unit. 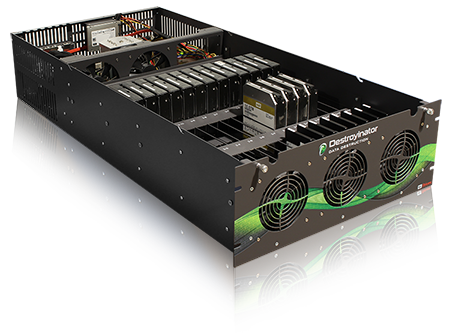 In a standard rack with ten D60 Destroyinators, you can wipe up to 600 disks at once! Killdisk can be programmed to perform actions on a disk as soon as it is connected. 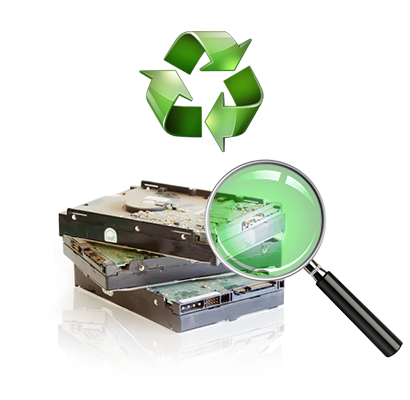 This means you can examine, erase and print a certificate by simply plugging in a hard drive! Once a disk is erased, the data is gone forever. KillDisk is HIPAA compliant, supports U.S. DoD erasure and dozens more. Wipe mixed batches of drives! 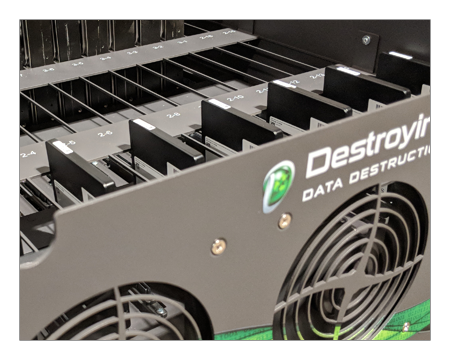 The Destroyinator also features a lowered internal grid to accommodate both 3.5" & 2.5" mechanical drives as well as SAS & solid-state drives. Examine old disks for bad sectors prior to erasure and view drive health parameters. Tools such as SMART monitor, File Browser & Hex Viewer give you a complete knowledge, control and overview of your hard drives. Built-in customizable certificate and label-printing tools for records and accountability. 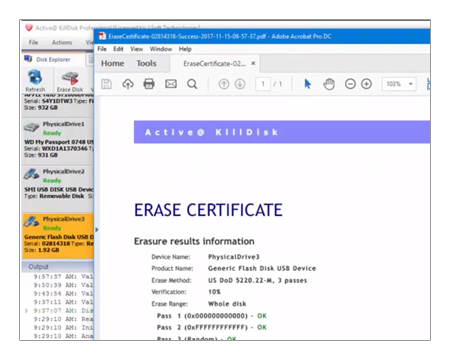 After each erase/wipe completion, create a custom certificate that can be saved as a PDF. 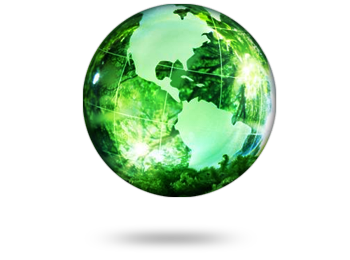 Its verification process allows you to confirm that the sectors have wiped all data - for peace of mind. 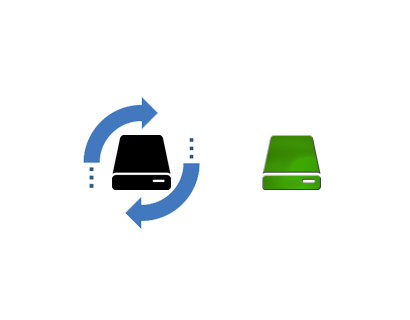 Easily clone a master disk or image to newly sanitized disks! In addition to securely erasing hard drives, KillDisk also allows you to write an image or copy a Master Disk to newly erased hard drives with its' cloning feature. The drive erasure time depends on the physical size of the HDD - not the number of them - as they are all wiped in parallel. Wiping a single 1TB drive will take the same amount of time as 45 1TB drives. Are you paying fees on every erased drive? Does your current data erasure system have a licensing fee on every erased drive? If those fees were eliminated, how quickly would your investment in a Destroyinator pay for itself? Use our calculator to get a feel for how short the payback period will be and how quickly you can improve your profitability. Contact us to ask a question about the Destroyinator. We love to help!